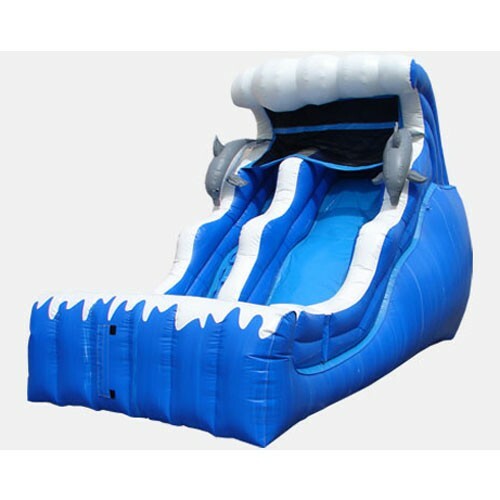 Our 18' Ocean Themed Double Drop Wave Slide is perfect for any rental business, church, school, or other institution. Our 18' Ocean Themed Double Drop Wave Slide is so versatile; it will quickly become one of your most requested items. Rent this popular slide year round, then turn on the water for some real summertime fun! Hook up the landing pool for a great splash, or attach an optional Slip and Slide for an even longer ride!